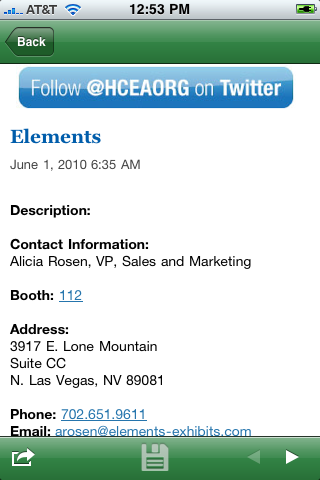 The HCEA Mobile application turns your smartphone into a must-use tool to uncover the most value at the must-attend Healthcare event for all healthcare exhibit and convention marketers, medical association exhibit managers and medical meeting planners. 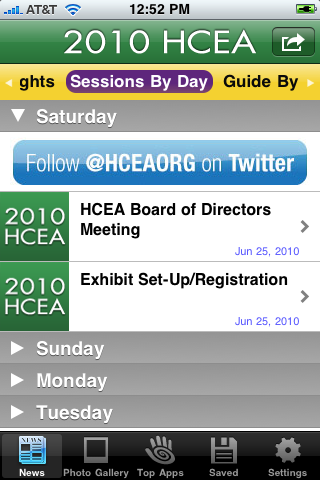 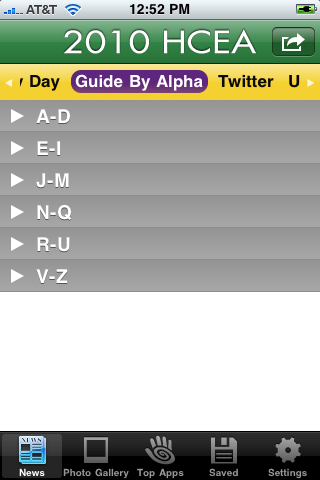 HCEA Mobile brings you up-to-the-minute program and session information, exhibitor listings, photos gallery of activities and events as well as lets you access HCEA’s social networking sites and stay up to date with U.S. news and weather feeds. 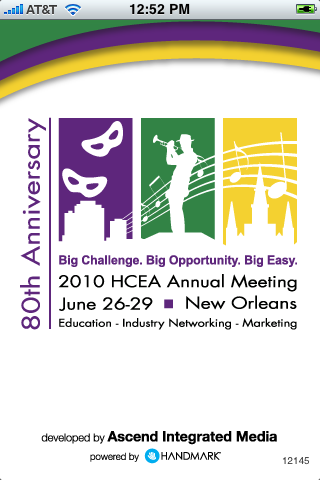 This Ascend Integrated Media application, powered by Handmark, puts you in touch with information from some of the greatest minds in the industry as the association celebrates its 80th anniversary.